Q4 is an exciting time. Online sales are soaring and your affiliate program is hopefully seeing some all time high numbers. But once we hit the new year, the energy levels and sales can plummet. Don’t let your affiliate program be forgotten. Capitalize on both the new growth that you saw and the existing top performers. 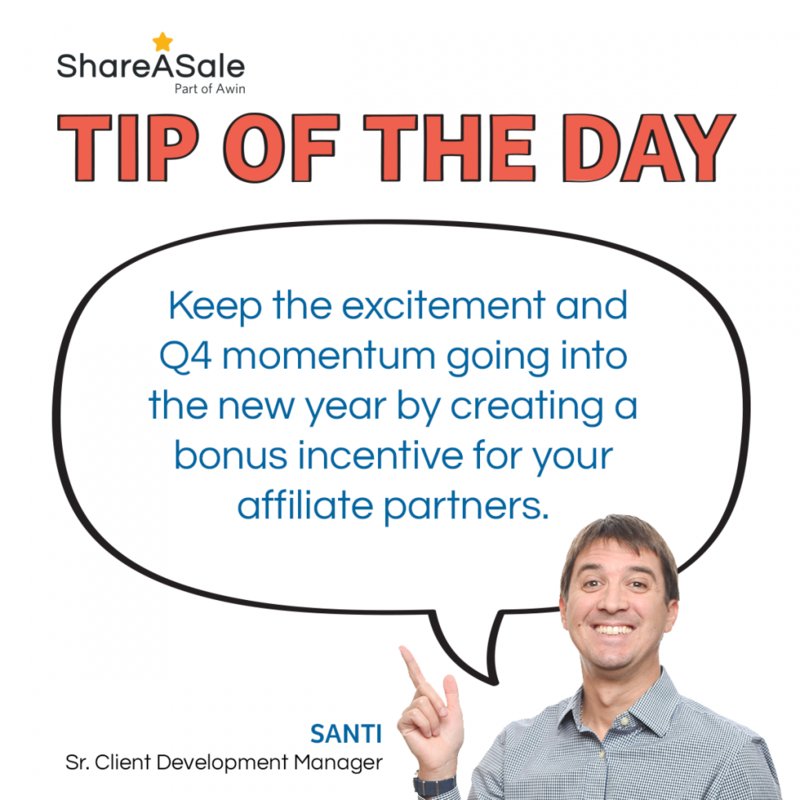 Start the new year by immediately giving your affiliate partners a new reason to get excited about your brand with a bonus incentive. An incentive speaks volumes to a merchant’s commitment and interest in their business relationship with an affiliate. Brainstorming new ways to activate partners is a strong indicator of a dedicated program manager and a brand who values their affiliate channel. Bonuses can also provide the necessary motivation for affiliates to keep promoting your brand and products. Take a look back at the performance of all your affiliates during Q4. Identify those to target and focus your attention in the new year by tagging them and putting these individuals into groups. By reviewing your Affiliate Timespan report, a merchant can easily determine the affiliates who were active during Q4 and out of those, the top performers. These are the people that a brand will want to further build a relationship. These tags that you’ve set up can be used not only to set up individual or group bonus incentives, but also to send targeted email newsletters. 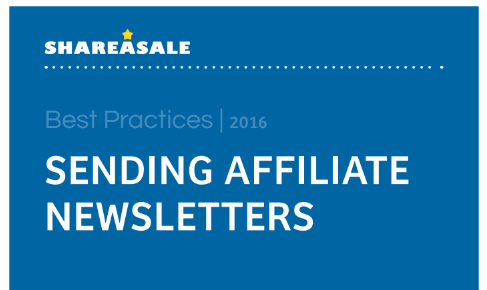 Schedule regular newsletters with your affiliates and make sure to let them know of these bonus opportunities. 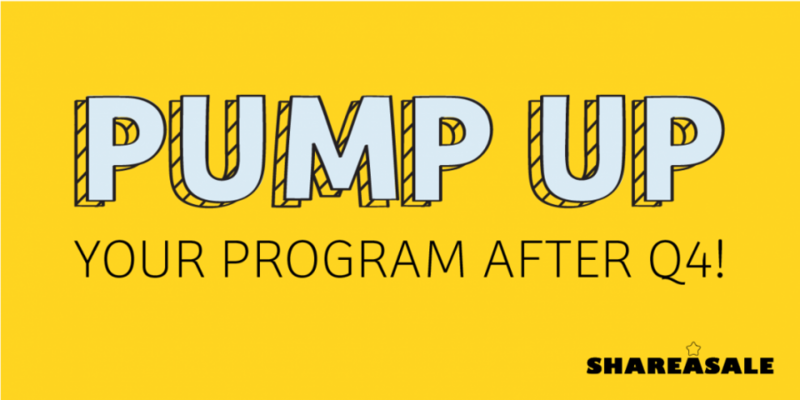 By sending relevant information, your program will stay top of mind. Establishing really close one-on-one relationships with key partners and talking with them on a regular basis can strengthen your program. To build a strong relationship with your Affiliates, send them regular newsletter, outlining new products, promotions, or seasonal creatives. 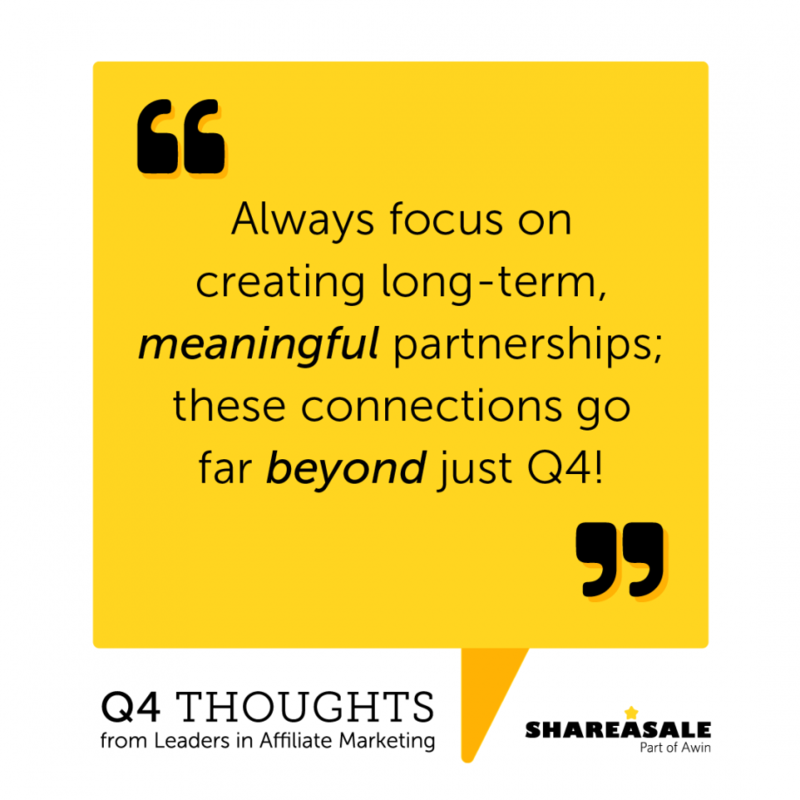 Welcome to part two of “Engaging Affiliates After Q4”! We will now cover how you can use the 4 “I’s” to bring a more personalized approach to your Affiliate activation efforts – identify, involve, interact, impact.